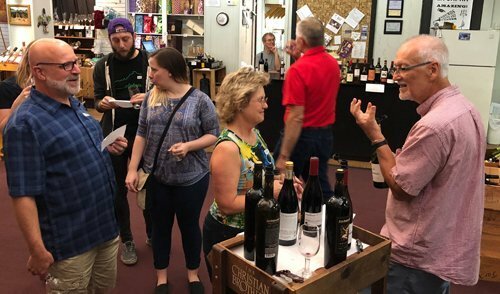 It was time for Wine World’s Third Thursday tasting. I enjoyed all the wines this evening. My favorites on the white table were the Chamisal Stainless Chardonnay and the Gouguenheim Valle Escondido Torrontes. At the red table I really enjoyed the Enrique Mendoza La Tremenda Monastrell and the Zin-phomaniac Old Vine Reserve Zinfandel, the last maybe the name influenced me a bit. Nice tasting with some nice cheeses. Next up for Wine World is First Friday tasting on June 1 and a Sake Seminar on Wednesday, June 6th. 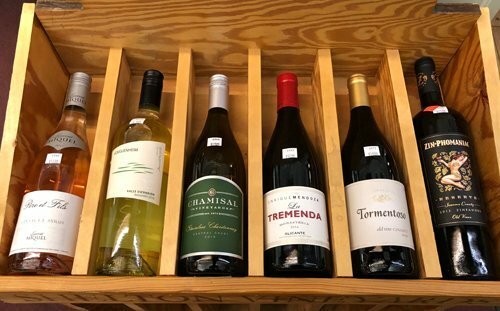 Cost: $5, with $2 rebate on the purchase of 1 bottle of the featured wines.